Source Naturals Vitamin E 100 Tablets 400 IU D-alpha tocopheryl succinate. Vitamin E is a fat soluble vitamin. It is one of the body's chief antioxidants and may help protect the body against free radical damage. It plays a vital role in maintaining both skeletal and smooth muscle, and is necessary for the synthesis and maintenance of red blood cells. 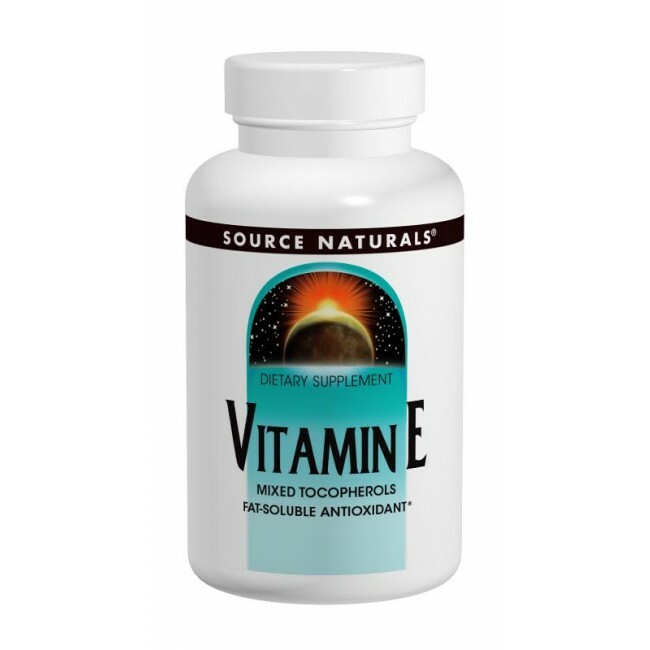 Natural Vitamin E has been shown to be more bioavailable than synthetic vitamin E in scientific studies.